Mizan R. Khan has a Ph.D in Environmental Policy and Management from the University of Maryland School of Public Policy, MD, USA. He is Director of External Affairs at North South University (NSU), and, a Professor at the Department of Environmental Science and Management (DESM), NSU, Dhaka, Bangladesh. He was an Adjunct Professor at the Natural Resources Institute (NRI), University of Manitoba, Canada, during 2009-2013. Dr. Khan had been a Visiting Professor/Scholar at Universite de Poitiers, France in February 2015 & at Brown University, USA during the Spring & Fall of 2012, Spring of 2013.& Fall of 2016. He is a Lead Author of the Intergovernmental Panel on Climate Change (IPCC). From August 1981 he served at the Bangladesh Institute of International & Strategic Studies (BIISS), Dhaka, where he was a Research Director during May 1998–June 2001. Before joining as Chair of DESM at NSU in early July 2003, he served for four years as UNDP Environment Policy Specialist, working with the Govt. of Bangladesh. In the early 1990s, he worked for 3 years as a Senior Researcher at the Centre for International Development and Conflict Management (CIDCM) at the University of Maryland at College Park. He was Vice Chair of the LDC Expert Group under the UNFCCC during 2002-2004. He attends climate negotiations as the lead negotiator on climate finance with the Bangladesh delegation since 2001. 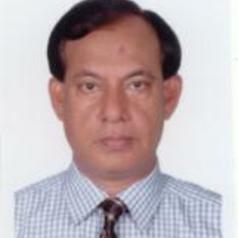 Dr. Khan is the Focal Point of the Nairobi Work Program of the UNFCCC representing the Academia in Bangladesh. He is an invited speaker in global expert meetings on climate change. Dr. Khan’s recent research and publications include two Books - Toward a Binding Climate Change Adaptation Regime: A Proposed Framework’ (London & New York: Routledge, 2014, 2015), and the other, co-authored with David Ciplet & Timmons Roberts, on Power in A Warming World: The New Politics of Climate Change and the Remaking of Environmental Inequality (Cambridge, MA: MIT Press, August 2015); `Climate Change Adaptation as a Global Public Good: Implications for Financing,' Climate and Development (forthcoming); Polluter-pays-principle: The cardinal instrument for addressing climate change, Laws 2015, 4;.Khan, M. & Roberts, T. `Adaptation and International Climate Policy,’ Wiley Interdisciplinary Reviews: Climate Change, 2013, 4; `The Politics of International Adaptation Funding: Justice and Divisions in the Greenhouse’ (co-authored with David Ciplet & Timmons Roberts); Global Environmental Politics, 13(1), 2013, and Least Developed, Most Vulnerable: Have Climate Finance Promises Been Fulfilled for the LDCs? (co-authored), European Capacity Building Initiative, London, 2013; Book chapters on“Global Climate Politics in the New World Order,” (co-authored with Roberts, T. & Ciplet D). In: Backstrand, K & Lovland, E. (eds). Global Climate Governance (Edward Elgar, forthcoming).`, and “Right to Development and Historical Emissions: A Perspective from the Particularly Vulnerable Countries,’ in Meyer, L. & Sanklecha, P (eds), Climate Justice: The Relevance of Historical Emissions (Cambridge University Press, forthcoming). Dr. Khan speaks Russin & French as well..
MacArthur Foundation Fellow in Ecological Economics 1994-95.